Mining industry watchers have posited that Ghana’s gold mining sector could collapse if the trend of illegal miners encroaching on concessions of mining companies is not halted. 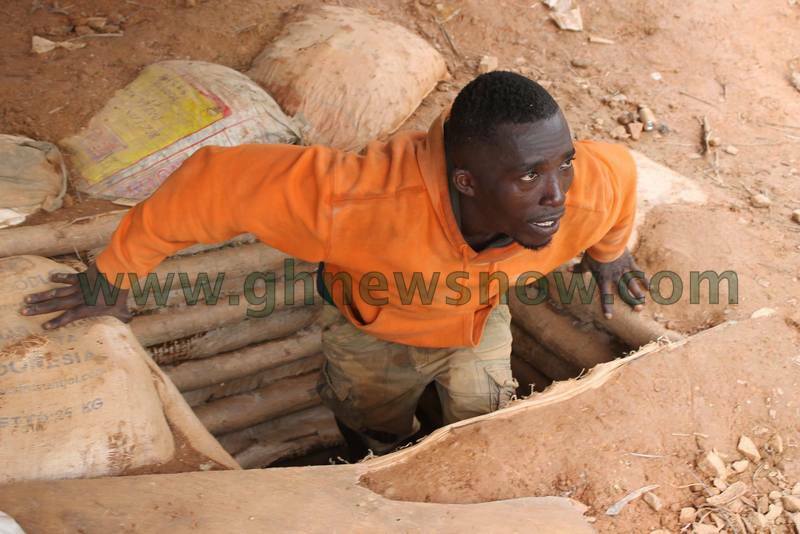 According to the Ghana Mineworkers Union (GMWU), the spate of illegal miners taking over concessions is a scare to the investor community. General-Secretary of the Union, Prince William Ankrah describes as “shameful and barbaric” the uncontrollable levels of the galamsey onslaught on the concessions of legally registered businesses. “Mining companies such as AngloGold Ashanti, Obuasi Mine witnessed a gruesome attack by illegal small scale miners on its concession, resulting in the death of a top management staff of the company. 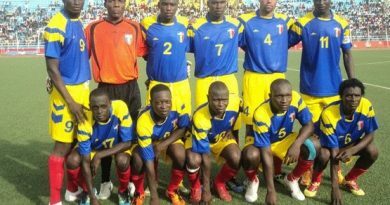 Again, Owere Mines in Konongo was also not spared in this nefarious enterprise as these hoodlums invaded and took control of the Mine’s concession for weeks, while owners and our members watched helplessly,” he observed. The gradual take-over of the Obuasi mine by the illegal operators forced AngloGold Ashanti to file a suit against the Government of Ghana at the International Court of Arbitration, seeking protection on its concession. Prince Ankrah describes the development as unfortunate, emphasizing that “Obuasi is a major asset to our nation and for that matter we all need to be careful so that we don’t create any scare that will allow that mine to remain dead even though it’s a rich resource”. The Anglogold Ashanti, Obuasi Mine, currently undergoing operational reforms, is said to viable, hence the need for all stakeholders to be on board for its resuscitation. The Minerals Commission recently constituted a District Mining Committee at Obuasi to oversee the peaceful exit of the unlicensed miners from AGA concession to the demarcated areas within the lease area surrendered by the company. The move is expected to forestall what interest groups have described as a near-crisis situation at Obuasi. Chairman of the Committee, Engineer Kwaku Frimpong Kuma, was part of a team that set up underground operations about 20years ago within the area of Anglogold’s concession under contest. He is confident the committee’s work will yield the requisite results to the satisfaction of both interest parties. 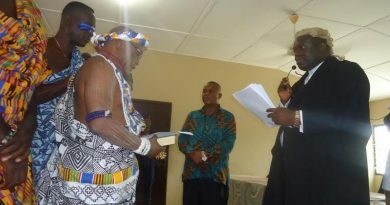 “At this stage, it’s going to be a win-win situation…it will be solved to the joy of both parties and then Obuasi will come back to life,” he stated. Prince William Ankrah is also hopeful the new arrangements will be workable to help bring a closure to the menace of illegal miners taking over the concession of Anglogold Ashanti. “Let’s hope that it will yield the needed results…let’s all be confident that it will work out,” he said. “It’s evident that Obuasi can bounce back and remain very vibrant for the economy, so that’s what we want to see and we pray that really materialize”. 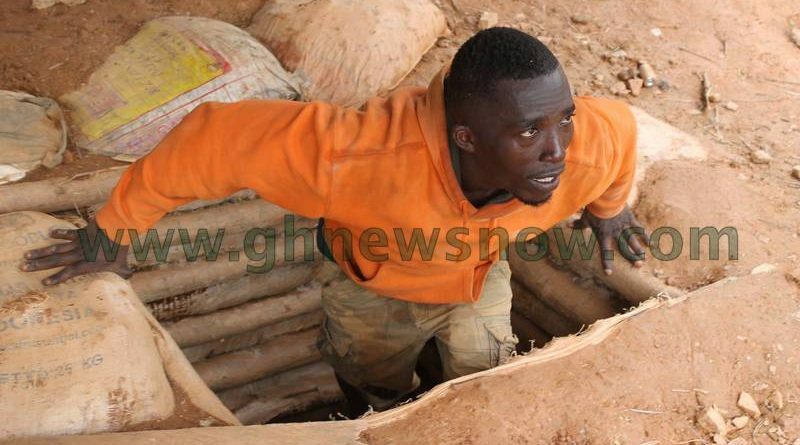 The Ghana Mineworkers Union, has however, stated that it will not hesitate to withdraw labour services to the industry all over the country if the menace of illegal mining and the threat to the safety and security of members is left unchecked. “Considering the pace and nature of the destruction by illegal small scale mining and its consequences on the environment, it would be extremely difficult to bequeath anything meaningful to generations yet unborn if we continue on this indiscriminate tangent with impunity,” said Prince Ankrah.